Deepka Chopra explains the mindful life as the ability to choose what and how you experience the here and now. Awareness of our thoughts, emotions and sensations in our body, allows the possibility of change through choice. 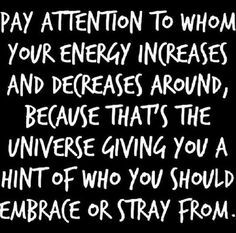 During this week observe how the people in your life make you feel and behave. Just observe and allow, there is no need to do anything.